Hey NS, i have a quick sale for ya. 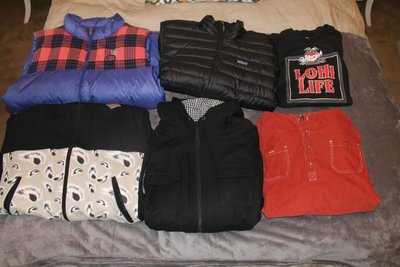 5 jiberish items, and a patagonia jacket. Price for all 6 items is $100 plus shipping. Shipping will probably be between 10-15 in the US. I will sell individual items as well! If you want more pics, pm me and I can send you some!! How much for the feather hoodie? How much just for Patagonia jacket?